"Superb, Deep Strategy in a Well Realized Fantasy World"
"OK, let’s get one thing clear. 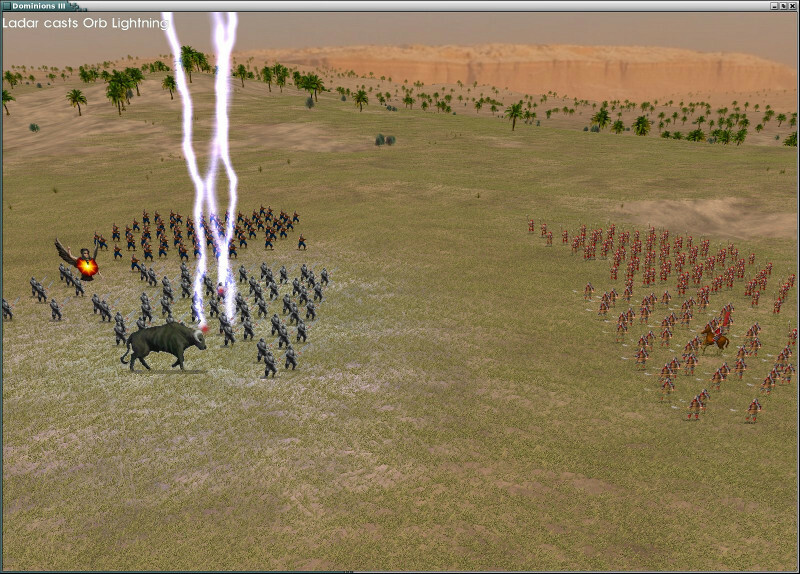 A lot of people will not appreciate Dominions 3" Troy Goodfellow, Flash of Steel. The game can be bought from Steam and there is also a forum there. The old official forum is the Desura Dominons 3 Forum. 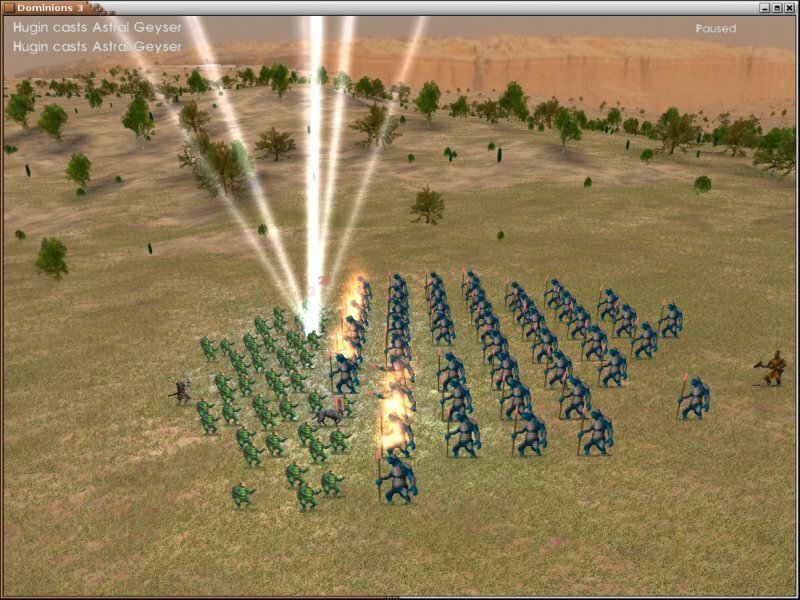 You can also visit the very old Shrapnel Games forum that contains a wealth of info, mods and maps for Dominions 3 (this forum might disappear anytime). Freqently Asked Questions (for technical problems) and their answers are here. * Many monsters (1500+) and many many special abilities. * Over 60 different nations to choose from, varying from Marignon with paladins, witch hunters and inquisitors to under water nations like the Lovecraft inspired R'lyeh. * Three Eras to play in, Early era is most magic and the late era is more technologically advanced with good steel weapons and armors. 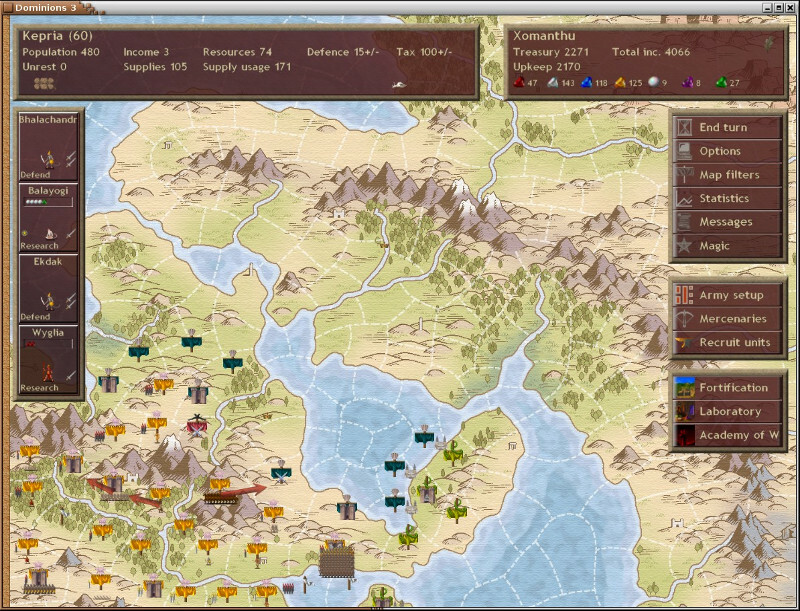 * Design your pretender god and how his dominion influences provinces and his sacred units. 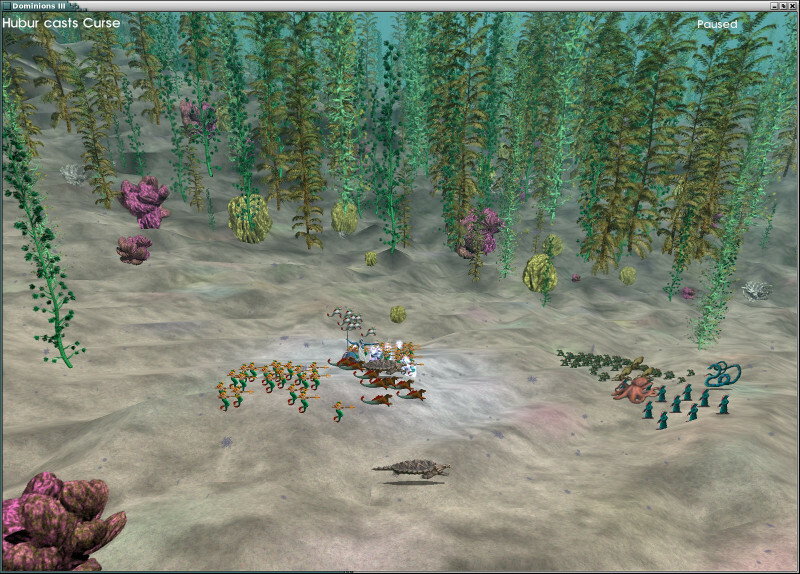 * Multiplayer with simultaneous turns (up to 23 players). * Network or Play by E-Mail for multiplayer. 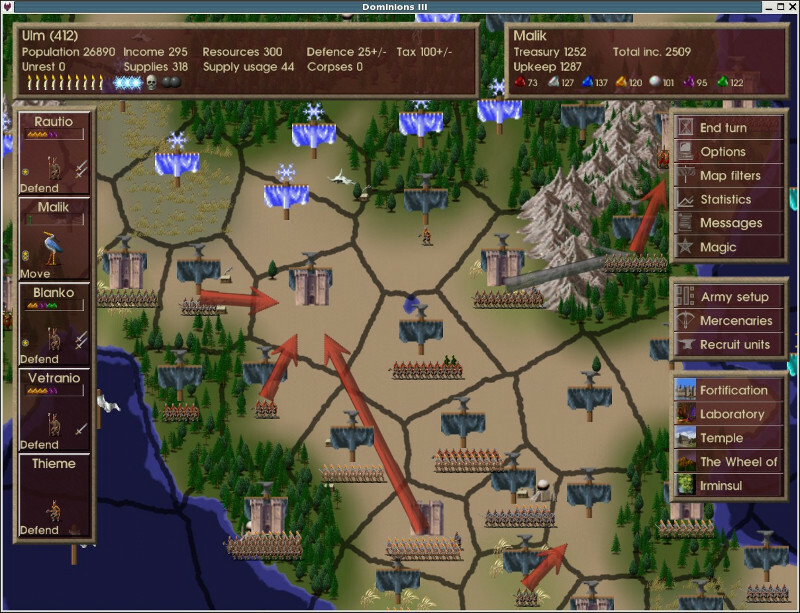 * AI opponents for single- or multiplayer game. * An extensive magic system with over 600 spells. * Blood magic, power your rituals with human sacrifices. * Global ritual that affect the entire world. * Unique magic artifacts that all players compete for, once forged no one else can make it. * Mercenaries are bought on a global market. * Scouts, Assassins, Spies, Seducers, Corruptors, Werewolves, Illusionists and more can be sneaking in your provinces. * Build Castles, Temples and Labs. * A 300 page pdf manual including a tutorial and a spell and magic item reference. * Playable on Windows, Mac OSX and Linux. 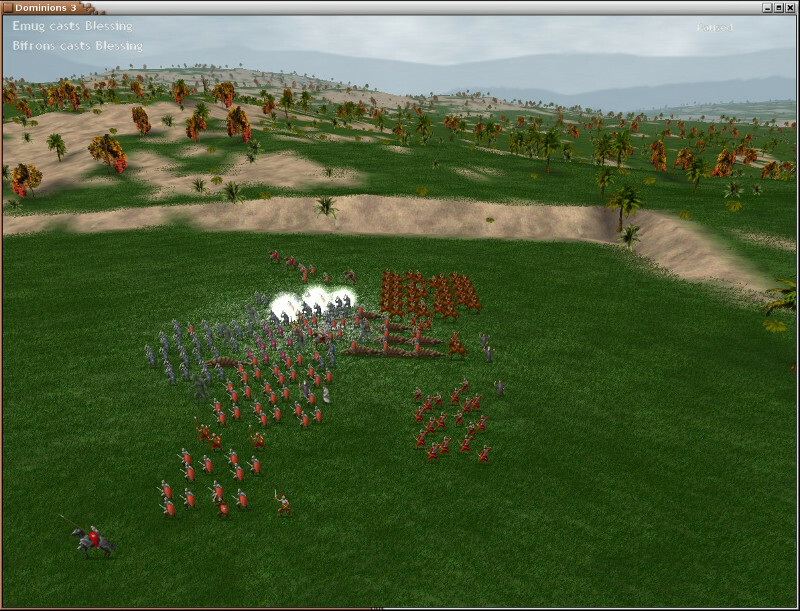 The 300 page manual for Dominions 3 can be downloaded below as well as the latest modding and map editing manuals. The game is still being updated occasionally, to fix some bugs and to make sure it works with the latest computers. If you are using the Steam client you will be updated automatically as soon as an update is released. 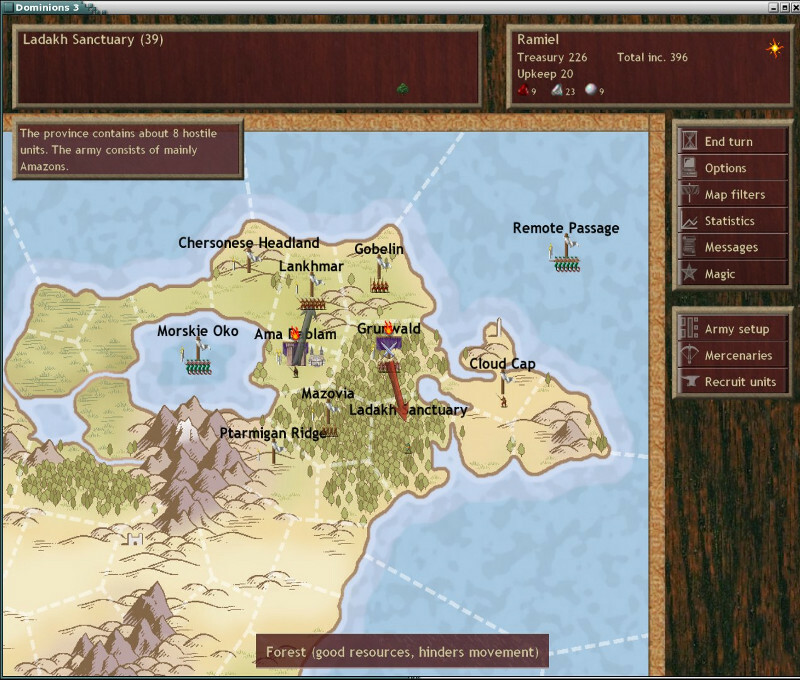 The game can be played on Windows, Linux and Mac OSX and does not require a very new computer. A 5 year old computer should be able to run this game without breaking a sweat. About 500 MB hard drive space is needed and your computer needs at least 512 MB ram.